It's assembly week for our Everyone's a Star Quilt Along! If you've been following along and have all twelve blocks made, today we'll show you how to put your blocks, sashing and borders together. 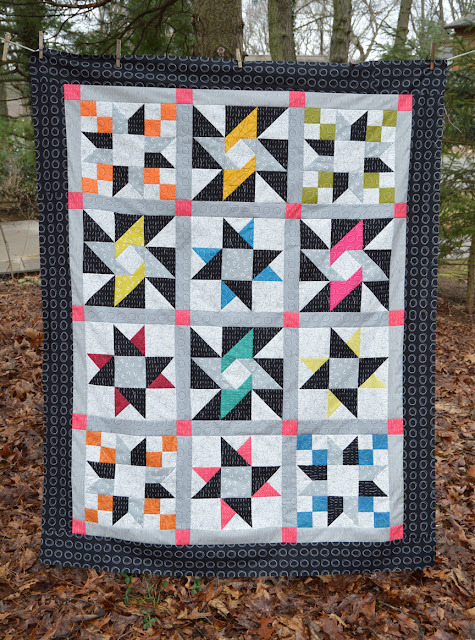 I'm Lisa, and I'm back today to talk about assembling your quilt using my Zentastic version. 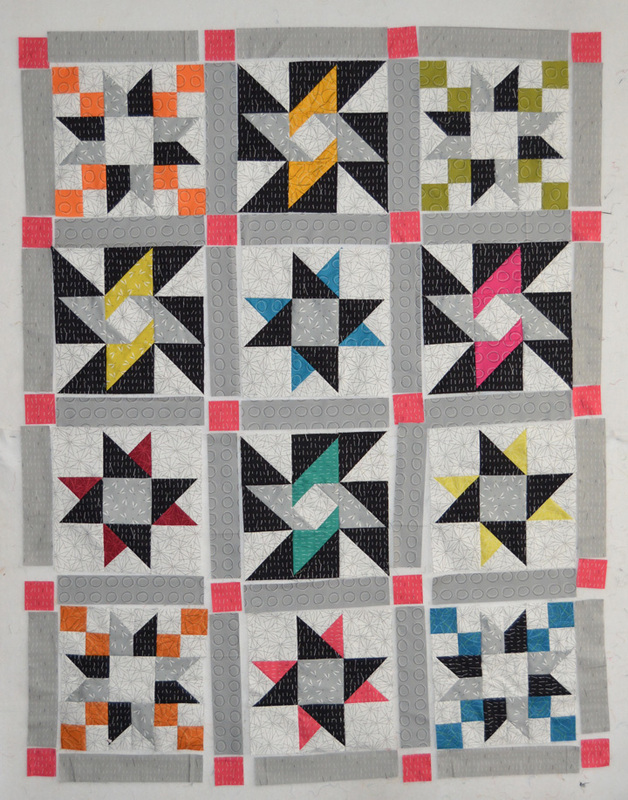 Once your blocks are complete, you'll need to prepare your sashing strips, sashing squares and borders. 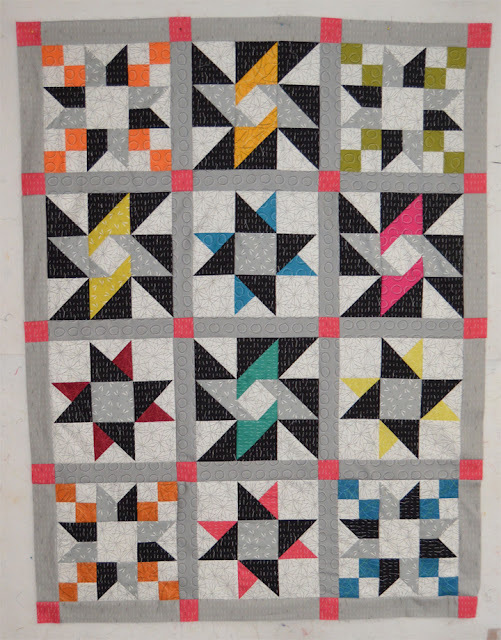 We're only showing a finished quilt top today, so we won't address binding, but you'll need (6) 2-1/4" x 42" strips for binding when the time comes. I'm planning to use the Whiskers Hot Pink for binding. Step 1: Lay out the 12 blocks, 17 inner sashing pieces, 20 sashing squares, and 14 our sashing pieces into rows as shown. 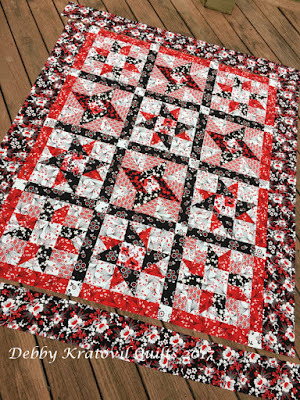 Step 2: The traditional way to assemble a quilt like this is to sew the blocks and vertical sashing pieces into block rows and the horizontal sashing pieces and sashing squares into sashing rows (like Debby does on her blog). You can do that; however, I'm going to show you a different method today. I thought it went more quickly, and I think my seams matched up better. But either way works! I joined the right hand sashing to each block, and then sewed a sashing square to each horizontal sashing piece. I then joined this unit to the bottom of the block. Of course, you'll still have an additional outer sashing piece to add. Step 6: And then joined the three block/sashing units to complete a totally sashed row. Step 8: And then I joined all the rows to complete the quilt center. Step 9: Join the (7) 4-1/2" x 42" Rings Black strips short ends together into a long strip. Cut two 58-1/2" lengths and two 52-1/2" lengths. 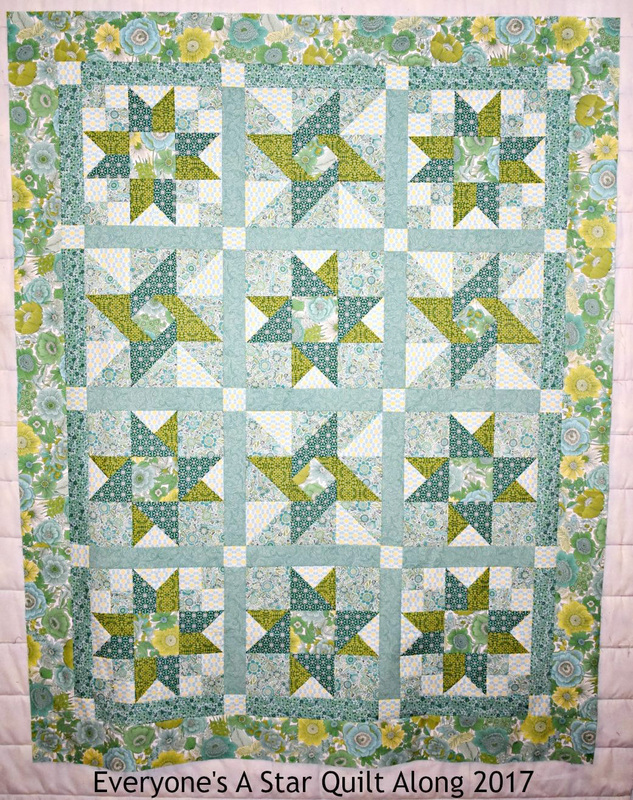 Sew the longer strips to the sides of the quilt and the shorter strips to the top and bottom. 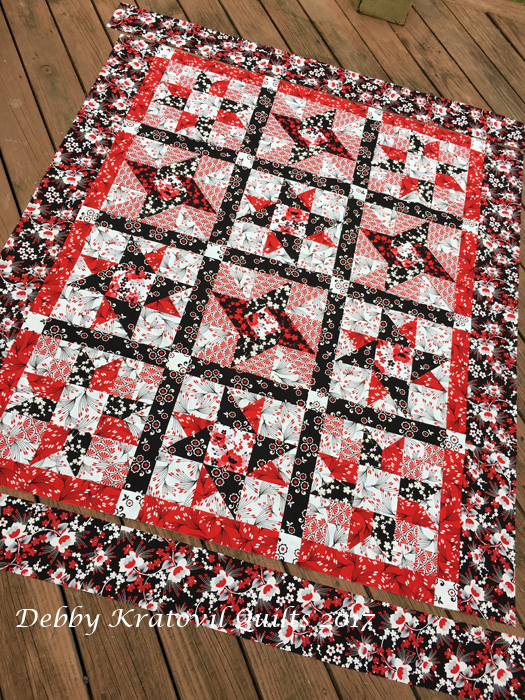 Your quilt top is done! Here's Stephanie's quilt top, made from Liberty Garden. 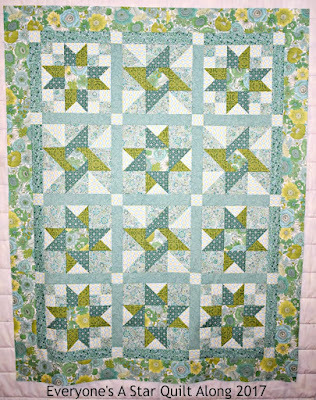 Here's Debby's quilt top, made using Moon Flower. There's still time to follow our quilt along and win a prize! Modern by the Yard - Issue #4! Summer goes red, white and blue!